Polish alchemist, philosopher, and physician Michael Sendivogius in his work De Lapide Philosophorum Tractatus duodecim e naturae fonte et manuali experientia depromti (1604) described a substance contained in air, referring to it as 'cibus vitae' (food of life), and this substance is identical with oxygen. Sendivogius, during his experiments performed between 1598 and 1604, properly recognized that the substance is equivalent to the gaseous byproduct released by the thermal decomposition of potassium nitrate. 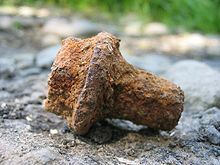 In Bugaj’s view, the isolation of oxygen and the proper association of the substance to that part of air which is required for life, lends sufficient weight to the discovery of oxygen by Sendivogius. This discovery of Sendivogius was however frequently denied by the generations of scientists and chemists which succeeded him. By the late 19th century scientists realized that air could be liquefied and its components isolated by compressing and cooling it. 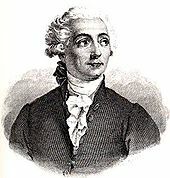 Using a cascade method, Swiss chemist and physicist Raoul Pierre Pictet evaporated liquid sulfur dioxide in order to liquefy carbon dioxide, which in turn was evaporated to cool oxygen gas enough to liquefy it. He sent a telegram on December 22, 1877 to the French Academy of Sciences in Paris announcing his discovery of liquid oxygen. Just two days later, French physicist Louis Paul Cailletet announced his own method of liquefying molecular oxygen. Only a few drops of the liquid were produced in each case and no meaningful analysis could be conducted. 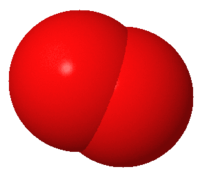 Oxygen was liquefied in a stable state for the first time on March 29, 1883 by Polish scientists from Jagiellonian University, Zygmunt Wróblewski and Karol Olszewski. 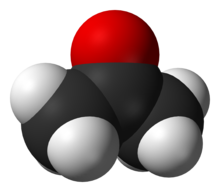 2 molecule is referred to as triplet oxygen. [b] The highest energy, partially filled orbitals are antibonding, and so their filling weakens the bond order from three to two. Because of its unpaired electrons, triplet oxygen reacts only slowly with most organic molecules, which have paired electron spins; this prevents spontaneous combustion. 2 exposure for a minimal fee. Professional athletes, especially in American football, sometimes go off-field between plays to don oxygen masks to boost performance. The pharmacological effect is doubted; a placebo effect is a more likely explanation. Available studies support a performance boost from oxygen enriched mixtures only if it is breathed during aerobic exercise. ^ These results were mostly ignored until 1860. Part of this rejection was due to the belief that atoms of one element would have no chemical affinity towards atoms of the same element, and part was due to apparent exceptions to Avogadro's law that were not explained until later in terms of dissociating molecules. ^ An orbital is a concept from quantum mechanics that models an electron as a wave-like particle that has a spatial distribution about an atom or molecule. ^ Thylakoid membranes are part of chloroplasts in algae and plants while they simply are one of many membrane structures in cyanobacteria. In fact, chloroplasts are thought to have evolved from cyanobacteria that were once symbiotic partners with the progenitors of plants and algae. ^ No single ignition source of the fire was conclusively identified, although some evidence points to an arc from an electrical spark. ^ Jastrow, Joseph (1936). Story of Human Error. Ayer Publishing. p. 171. ISBN 978-0-8369-0568-7. Chisholm, Hugh, ed. (1911). "Mayow, John" . Encyclopædia Britannica. 17 (11th ed.). Cambridge University Press. pp. 938–939. ^ a b World of Chemistry contributors (2005). "John Mayow". World of Chemistry. Thomson Gale. ISBN 978-0-669-32727-4. Retrieved December 16, 2007. ^ Best, Nicholas W. (2015). "Lavoisier's 'Reflections on Phlogiston' I: Against Phlogiston Theory". Foundations of Chemistry. 17 (2): 137–151. doi:10.1007/s10698-015-9220-5. ^ Morris, Richard (2003). The last sorcerers: The path from alchemy to the periodic table. Washington, D.C.: Joseph Henry Press. ISBN 978-0-309-08905-0. ^ a b Marples, Frater James A. "Michael Sendivogius, Rosicrucian, and Father Of Studies of Oxygen" (PDF). Societas Rosicruciana in Civitatibus Foederatis, Nebraska College. pp. 3–4. Retrieved May 25, 2018. ^ a b Bugaj, Roman (1971). "Michał Sędziwój - Traktat o Kamieniu Filozoficznym". Biblioteka Problemów (in Polish). 164: 83–84. ISSN 0137-5032. ^ "Oxygen". RSC.org. Retrieved December 12, 2016. 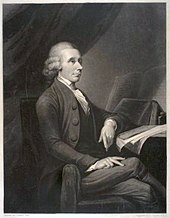 ^ Priestley, Joseph (1775). "An Account of Further Discoveries in Air". Philosophical Transactions. 65: 384–94. doi:10.1098/rstl.1775.0039. ^ a b c Parks, G. D.; Mellor, J. W. (1939). Mellor's Modern Inorganic Chemistry (6th ed.). London: Longmans, Green and Co.
^ Greenwood, Norman N.; Earnshaw, Alan (1997). Chemistry of the Elements (2nd ed.). Butterworth-Heinemann. p. 793. ISBN 978-0-08-037941-8. ^ DeTurck, Dennis; Gladney, Larry; Pietrovito, Anthony (1997). "Do We Take Atoms for Granted?". The Interactive Textbook of PFP96. University of Pennsylvania. Archived from the original on January 17, 2008. Retrieved January 28, 2008. ^ Roscoe, Henry Enfield; Schorlemmer, Carl (1883). A Treatise on Chemistry. D. Appleton and Co. p. 38. ^ a b Daintith, John (1994). Biographical Encyclopedia of Scientists. CRC Press. p. 707. ISBN 978-0-7503-0287-6. ^ Papanelopoulou, Faidra (2013). "Louis Paul Cailletet: The liquefaction of oxygen and the emergence of low-temperature research". Notes and Records of the Royal Society of London. 67 (4): 355–73. doi:10.1098/rsnr.2013.0047. PMC 3826198. 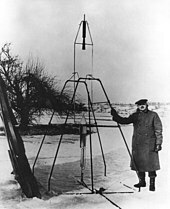 ^ "Goddard-1926". NASA. Archived from the original on November 8, 2007. Retrieved November 18, 2007. ^ Scripps Institute. "Atmospheric Oxygen Research". ^ a b Jack Barrett, 2002, "Atomic Structure and Periodicity, (Basic concepts in chemistry, Vol. 9 of Tutorial chemistry texts), Cambridge, U.K.:Royal Society of Chemistry, p. 153, ISBN 0854046577, see  accessed January 31, 2015. ^ "Oxygen Facts". Science Kids. February 6, 2015. Retrieved November 14, 2015. ^ Jakubowski, Henry. "Chapter 8: Oxidation-Phosphorylation, the Chemistry of Di-Oxygen". Biochemistry Online. Saint John's University. Retrieved January 28, 2008. ^ a b c d Weiss, H. M. (2008). "Appreciating Oxygen". J. Chem. Educ. 85 (9): 1218–1219. Bibcode:2008JChEd..85.1218W. doi:10.1021/ed085p1218. ^ Krieger-Liszkay, Anja (October 13, 2004). 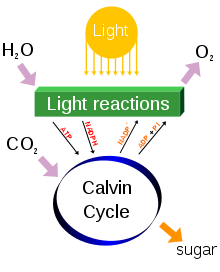 "Singlet oxygen production in photosynthesis". Journal of Experimental Botany. 56 (411): 337–46. doi:10.1093/jxb/erh237. PMID 15310815. ^ Harrison, Roy M. (1990). Pollution: Causes, Effects & Control (2nd ed.). Cambridge: Royal Society of Chemistry. ISBN 978-0-85186-283-5. ^ Wentworth, Paul; McDunn, J. E.; Wentworth, A. D.; Takeuchi, C.; Nieva, J.; Jones, T.; Bautista, C.; Ruedi, J. M.; et al. (December 13, 2002). "Evidence for Antibody-Catalyzed Ozone Formation in Bacterial Killing and Inflammation". Science. 298 (5601): 2195–219. Bibcode:2002Sci...298.2195W. doi:10.1126/science.1077642. PMID 12434011. ^ Hirayama, Osamu; Nakamura, Kyoko; Hamada, Syoko; Kobayasi, Yoko (1994). "Singlet oxygen quenching ability of naturally occurring carotenoids". Lipids. 29 (2): 149–50. doi:10.1007/BF02537155. PMID 8152349. ^ Chieh, Chung. "Bond Lengths and Energies". University of Waterloo. Archived from the original on December 14, 2007. Retrieved December 16, 2007. ^ a b Schmidt-Rohr, K. (2015). "Why Combustions Are Always Exothermic, Yielding About 418 kJ per Mole of O2". J. Chem. Educ. 92 (12): 2094–2099. Bibcode:2015JChEd..92.2094S. doi:10.1021/acs.jchemed.5b00333. 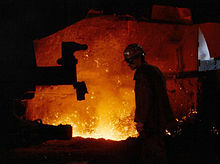 ^ a b c Stwertka, Albert (1998). Guide to the Elements (Revised ed.). Oxford University Press. pp. 48–49. ISBN 978-0-19-508083-4. ^ a b Cacace, Fulvio; de Petris, Giulia; Troiani, Anna (2001). "Experimental Detection of Tetraoxygen". Angewandte Chemie International Edition. 40 (21): 4062–65. doi:10.1002/1521-3773(20011105)40:21<4062::AID-ANIE4062>3.0.CO;2-X. PMID 12404493. ^ Desgreniers, S.; Vohra, Y. K.; Ruoff, A. L. (1990). "Optical response of very high density solid oxygen to 132 GPa". J. Phys. Chem. 94 (3): 1117–22. doi:10.1021/j100366a020. ^ Shimizu, K.; Suhara, K.; Ikumo, M.; Eremets, M. I.; et al. (1998). "Superconductivity in oxygen". Nature. 393 (6687): 767–69. Bibcode:1998Natur.393..767S. doi:10.1038/31656. ^ Evans, David Hudson; Claiborne, James B. (2005). The Physiology of Fishes (3rd ed.). CRC Press. p. 88. ISBN 978-0-8493-2022-4. ^ Lide, David R. (2003). "Section 4, Properties of the Elements and Inorganic Compounds; Melting, boiling, and critical temperatures of the elements". CRC Handbook of Chemistry and Physics (84th ed.). Boca Raton, Florida: CRC Press. ISBN 978-0-8493-0595-5. ^ a b "Liquid Oxygen Material Safety Data Sheet" (PDF). Matheson Tri Gas. Archived from the original (PDF) on February 27, 2008. Retrieved December 15, 2007. ^ Krupenie, Paul H. (1972). "The Spectrum of Molecular Oxygen". Journal of Physical and Chemical Reference Data. 1 (2): 423–534. Bibcode:1972JPCRD...1..423K. doi:10.1063/1.3253101. ^ Guy P. Brasseur; Susan Solomon (January 15, 2006). Aeronomy of the Middle Atmosphere: Chemistry and Physics of the Stratosphere and Mesosphere. Springer Science & Business Media. pp. 220–. ISBN 978-1-4020-3824-2. ^ Kearns, David R. (1971). "Physical and chemical properties of singlet molecular oxygen". Chemical Reviews. 71 (4): 395–427. doi:10.1021/cr60272a004. ^ a b c Meyer, B. S. (September 19–21, 2005). 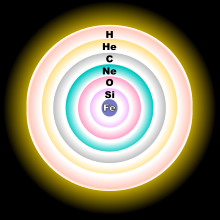 Nucleosynthesis and Galactic Chemical Evolution of the Isotopes of Oxygen (PDF). Workgroup on Oxygen in the Earliest Solar System. Proceedings of the NASA Cosmochemistry Program and the Lunar and Planetary Institute. Gatlinburg, Tennessee. 9022. Retrieved January 22, 2007. ^ Croswell, Ken (February 1996). Alchemy of the Heavens. Anchor. ISBN 978-0-385-47214-2. ^ "Oxygen". Los Alamos National Laboratory. Archived from the original on October 26, 2007. Retrieved December 16, 2007. ^ Greenwood, Norman N.; Earnshaw, Alan (1997). Chemistry of the Elements (2nd ed.). Butterworth-Heinemann. p. 602. ISBN 978-0-08-037941-8. ^ Hand, Eric (March 13, 2008). "The Solar System's first breath". Nature. 452 (7185): 259. Bibcode:2008Natur.452..259H. doi:10.1038/452259a. PMID 18354437. ^ Miller, J. R.; Berger, M.; Alonso, L.; Cerovic, Z.; et al. Progress on the development of an integrated canopy fluorescence model. Geoscience and Remote Sensing Symposium, 2003. IGARSS '03. Proceedings. 2003 IEEE International. Retrieved January 22, 2008. ^ Fenical, William (September 1983). "Marine Plants: A Unique and Unexplored Resource". Plants: the potentials for extracting protein, medicines, and other useful chemicals (workshop proceedings). DIANE Publishing. p. 147. ISBN 978-1-4289-2397-3. ^ Brown, Theodore L.; LeMay, Burslen (2003). Chemistry: The Central Science. Prentice Hall/Pearson Education. p. 958. ISBN 978-0-13-048450-5. ^ Danovaro R; Dell'anno A; Pusceddu A; Gambi C; et al. (April 2010). "The first metazoa living in permanently anoxic conditions". BMC Biology. 8 (1): 30. doi:10.1186/1741-7007-8-30. PMC 2907586. PMID 20370908. ^ Ward, Peter D.; Brownlee, Donald (2000). Rare Earth: Why Complex Life is Uncommon in the Universe. Copernicus Books (Springer Verlag). p. 217. ISBN 978-0-387-98701-9. ^ "NASA Research Indicates Oxygen on Earth 2.5 Billion Years ago" (Press release). NASA. September 27, 2007. Retrieved March 13, 2008. ^ Zimmer, Carl (October 3, 2013). 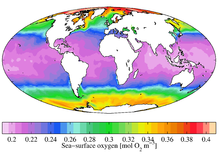 "Earth's Oxygen: A Mystery Easy to Take for Granted". The New York Times. Retrieved October 3, 2013. ^ a b Normal Reference Range Table Archived December 25, 2011, at the Wayback Machine Archived December 25, 2011, at the Wayback Machine from The University of Texas Southwestern Medical Center at Dallas. Used in Interactive Case Study Companion to Pathologic basis of disease. ^ a b Crowe, S. A.; Døssing, L. N.; Beukes, N. J.; Bau, M.; Kruger, S. J.; Frei, R.; Canfield, D. E. (2013). "Atmospheric oxygenation three billion years ago". Nature. 501 (7468): 535–538. Bibcode:2013Natur.501..535C. doi:10.1038/nature12426. PMID 24067713. ^ Campbell, Neil A.; Reece, Jane B. (2005). Biology (7th ed.). San Francisco: Pearson – Benjamin Cummings. pp. 522–23. ISBN 978-0-8053-7171-0. ^ a b Berner, Robert A. (1999). 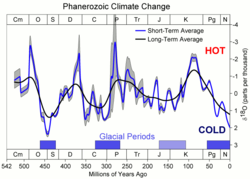 "Atmospheric oxygen over Phanerozoic time". Proceedings of the National Academy of Sciences of the USA. 96 (20): 10955–57. Bibcode:1999PNAS...9610955B. doi:10.1073/pnas.96.20.10955. PMC 34224. PMID 10500106. ^ Dole, Malcolm (1965). "The Natural History of Oxygen" (PDF). The Journal of General Physiology. 49 (1): 5–27. doi:10.1085/jgp.49.1.5. PMC 2195461. PMID 5859927. Retrieved December 16, 2007. ^ Sim MA; Dean P; Kinsella J; Black R; et al. (2008). "Performance of oxygen delivery devices when the breathing pattern of respiratory failure is simulated". Anaesthesia. 63 (9): 938–40. doi:10.1111/j.1365-2044.2008.05536.x. PMID 18540928. ^ Stephenson RN; Mackenzie I; Watt SJ; Ross JA (1996). 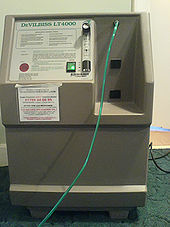 "Measurement of oxygen concentration in delivery systems used for hyperbaric oxygen therapy". Undersea Hyperb Med. 23 (3): 185–8. PMID 8931286. Retrieved September 22, 2008. ^ Undersea and Hyperbaric Medical Society. "Indications for hyperbaric oxygen therapy". Archived from the original on September 12, 2008. Retrieved September 22, 2008. ^ Piantadosi CA (2004). "Carbon monoxide poisoning". Undersea Hyperb Med. 31 (1): 167–77. PMID 15233173. Retrieved September 22, 2008. ^ Hart GB; Strauss MB (1990). "Gas Gangrene – Clostridial Myonecrosis: A Review". J. Hyperbaric Med. 5 (2): 125–144. Retrieved September 22, 2008. ^ Zamboni WA; Riseman JA; Kucan JO (1990). "Management of Fournier's Gangrene and the role of Hyperbaric Oxygen". J. Hyperbaric Med. 5 (3): 177–186. Retrieved September 22, 2008. ^ Acott, C. (1999). "A brief history of diving and decompression illness". South Pacific Underwater Medicine Society Journal. 29 (2). Retrieved September 22, 2008. ^ Longphre, JM; Denoble, PJ; Moon, RE; Vann, RD; Freiberger, JJ (2007). "First aid normobaric oxygen for the treatment of recreational diving injuries" (PDF). Undersea & Hyperbaric Medicine. 34 (1): 43–49 – via Rubicon Research Repository. ^ "Emergency Oxygen for Scuba Diving Injuries". Divers Alert Network. Retrieved October 1, 2018. ^ "Oxygen First Aid for Scuba Diving Injuries". Divers Alert Network Europe. Retrieved October 1, 2018. ^ a b Morgenthaler GW; Fester DA; Cooley CG (1994). "As assessment of habitat pressure, oxygen fraction, and EVA suit design for space operations". Acta Astronautica. 32 (1): 39–49. Bibcode:1994AcAau..32...39M. doi:10.1016/0094-5765(94)90146-5. PMID 11541018. ^ Webb JT; Olson RM; Krutz RW; Dixon G; Barnicott PT (1989). "Human tolerance to 100% oxygen at 9.5 psia during five daily simulated 8-hour EVA exposures". Aviat Space Environ Med. 60 (5): 415–21. doi:10.4271/881071. PMID 2730484. ^ a b c d Acott, C. (1999). "Oxygen toxicity: A brief history of oxygen in diving". South Pacific Underwater Medicine Society Journal. 29 (3). Retrieved September 21, 2008. ^ Longphre, J. M.; Denoble, P. J.; Moon, R. E.; Vann, R. D.; et al. (2007). "First aid normobaric oxygen for the treatment of recreational diving injuries". Undersea Hyperb. Med. 34 (1): 43–49. PMID 17393938. Retrieved September 21, 2008. ^ a b Bren, Linda (November – December 2002). "Oxygen Bars: Is a Breath of Fresh Air Worth It?". FDA Consumer magazine. U.S. Food and Drug Administration. Archived from the original on October 18, 2007. Retrieved December 23, 2007. ^ "George Goble's extended home page (mirror)". Archived from the original on February 11, 2009. Retrieved March 14, 2008. ^ IUPAC: Red Book. p. 73 and 320. ^ Maksyutenko, P.; Rizzo, T. R.; Boyarkin, O. V. (2006). 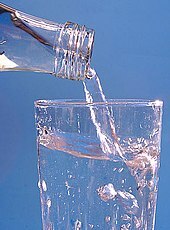 "A direct measurement of the dissociation energy of water". J. Chem. Phys. 125 (18): 181101. Bibcode:2006JChPh.125r1101M. doi:10.1063/1.2387163. PMID 17115729. ^ "NFPA 704 ratings and id numbers for common hazardous materials" (PDF). Riverside County Department of Environmental Health. Retrieved August 22, 2017. ^ Dharmeshkumar N Patel; Ashish Goel; SB Agarwal; Praveenkumar Garg; et al. (2003). "Oxygen Toxicity" (PDF). Indian Academy of Clinical Medicine. 4 (3): 234. ^ a b Wilmshurst P (1998). "Diving and oxygen". BMJ. 317 (7164): 996–9. doi:10.1136/bmj.317.7164.996. PMC 1114047. PMID 9765173. ^ Donald, Kenneth (1992). Oxygen and the Diver. England: SPA in conjunction with K. Donald. ISBN 978-1-85421-176-7. ^ Donald K. W. (1947). 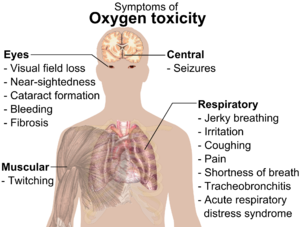 "Oxygen Poisoning in Man: Part I". Br Med J. 1 (4506): 667–72. doi:10.1136/bmj.1.4506.667. PMC 2053251. PMID 20248086. ^ Donald K. W. (1947). "Oxygen Poisoning in Man: Part II". Br Med J. 1 (4507): 712–7. doi:10.1136/bmj.1.4507.712. PMC 2053400. PMID 20248096. ^ a b c d Werley, Barry L., ed. (1991). ASTM Technical Professional training. 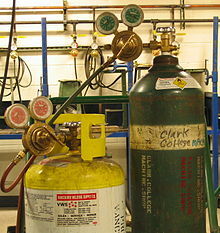 Fire Hazards in Oxygen Systems. Philadelphia: ASTM International Subcommittee G-4.05. ^ Chiles, James R. (2001). Inviting Disaster: Lessons from the edge of Technology: An inside look at catastrophes and why they happen. New York: HarperCollins Publishers Inc. ISBN 978-0-06-662082-4.